Sponsoring Nicaraguan women to become medical doctors. Adelante Mujer/Advance Woman is a tax-exempt, 501(c)(3) organization established in the United States to collect donations for needy Nicaraguan women whose dream is to become medical doctors. The daily operations of the organization are managed by an Administrative Team located in Fond du Lac, Wisconsin. A nine-member Board of Directors meets three times a year and oversees the entire program. Our On-site Coordinator in Bilwi/Puerto Cabezas, Nicaragua distributes the monthly allowances to qualifying women medical students. Adelante Mujer also consists of the many devoted individual donors who contribute to this worthy cause. Without them and groups that award grant money, there would be no Adelante Mujer. 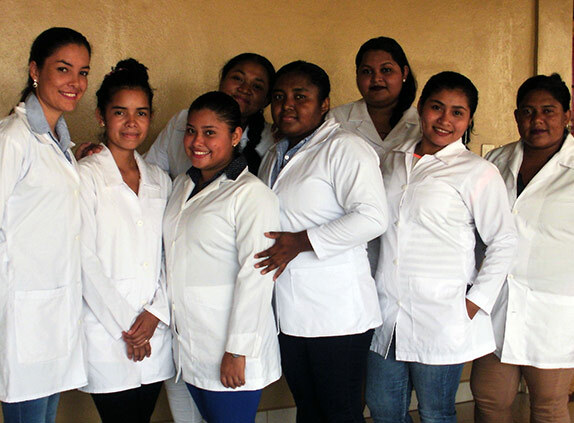 Adelante Mujer provides financial assistance to women who are studying to become medical doctors at the nationally certified School of Intercultural Medicine of URACCAN University in Bilwi/Puerto Cabezas, Nicaragua. Your financial support allows us to fund these talented and determined women whose professional preparation will increase the number of physicians in the area. Required medical supplies – such as lab coats, stethoscope, scrubs, rubber gloves, blood pressure cuff, head and foot covering, surgical masks, thermometer, hand sanitizers, etc. Please consider Adelante Mujer, Inc. in your will. To donate by mail, please complete our mail-in donation form. “Whatever you do to others you do to me” are the words that inspire us to reach out to help the people of Nicaragua. 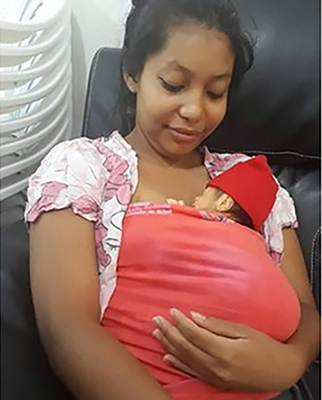 We are truly blessed to be the connection between our generous donors and the young women of Nicaragua who wish to serve their people as medical doctors. We welcome your financial assistance in funding university expenses for young women who will serve in one of the poorest areas of the Western Hemisphere where there is only one doctor per approximately 9,000 persons. Presently we have a total of 31 medical doctors who have been the recipient of financial aid. We also have 42 young women at various stages in the 6-year medical program of studies who are being financially assisted. In the most recent semester every one of these 42 students maintained the required 80% average in their course of studies. When students are in their fourth and fifth year of medical school at URACCAN University they have the opportunity to be enriched by attending workshops in Leon on the western coast of Nicaragua. Because Adelante Mujer is committed to helping provide well trained doctors in a country with such dire need, we have begun to fund the experience in Leon for as many students as we can. $90 will purchase a graduation gift for a new doctor: an engraved, Littmann stethoscope! $125 will sponsor a student for a month. 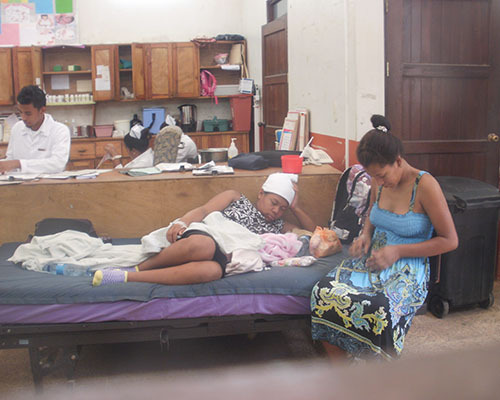 $400 will pay the travel and all expenses for a medical workshop in Leon, Nicaragua. $750 will sponsor a student for a semester. $1,500 will sponsor one student for a year.